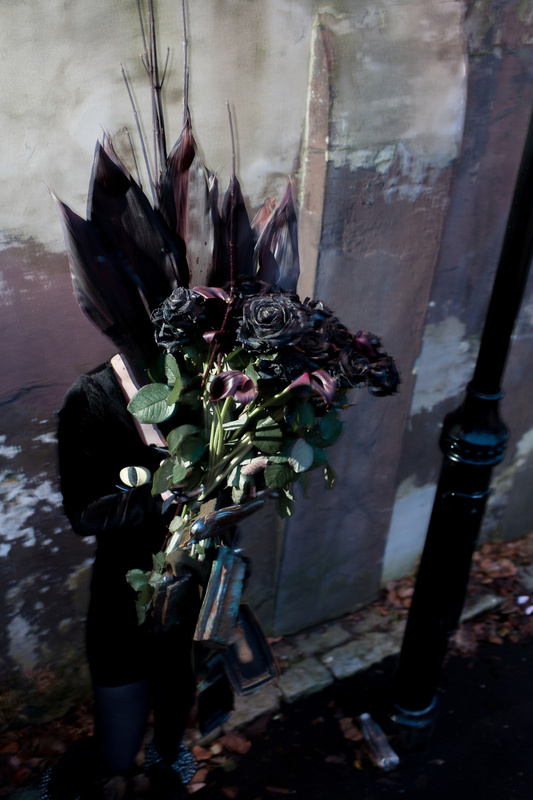 Miss Cakehead has been setting her sights on Valentine’s Day – for some a risible day of slushiness and despair; for others a heart-shaped celebration of romance. 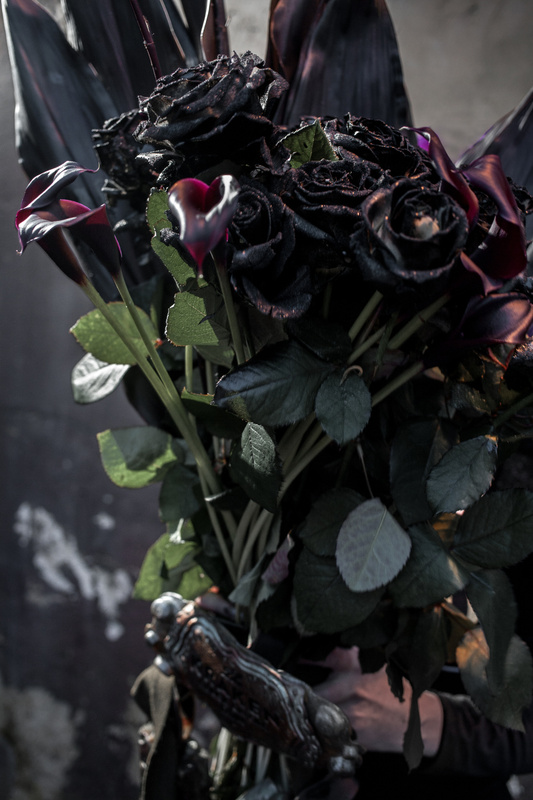 However, Miss Cakehead’s creation cleverly sidesteps both these clichés, creating a gorgeous installation attuned to the needs of both the romantics and the cynics. 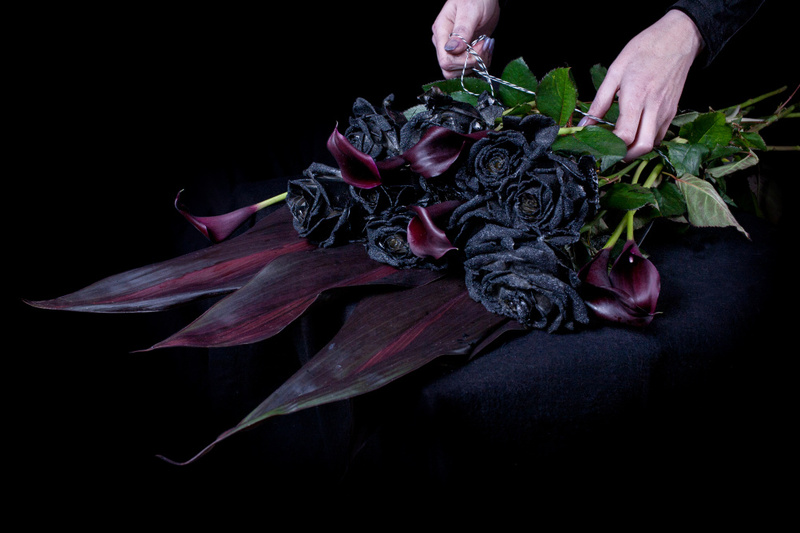 She’s worked with The Kraken rum to create a florist selling only black roses – a gorgeous, gothic piece that shuns traditional pink and red – and last year’s anatomical heart trend – in favour of something simple, beautiful, and dark. 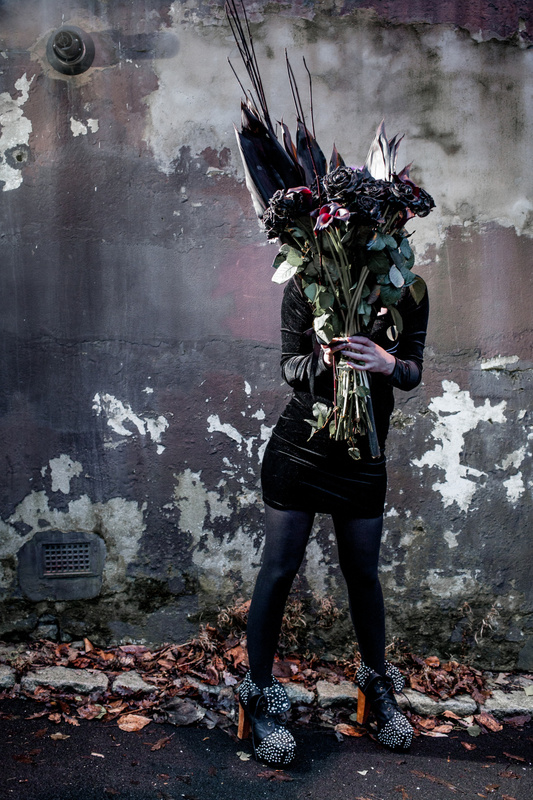 ‘I seem to have a reputation for making things that are edgy and macabre’, says Miss Cakehead. 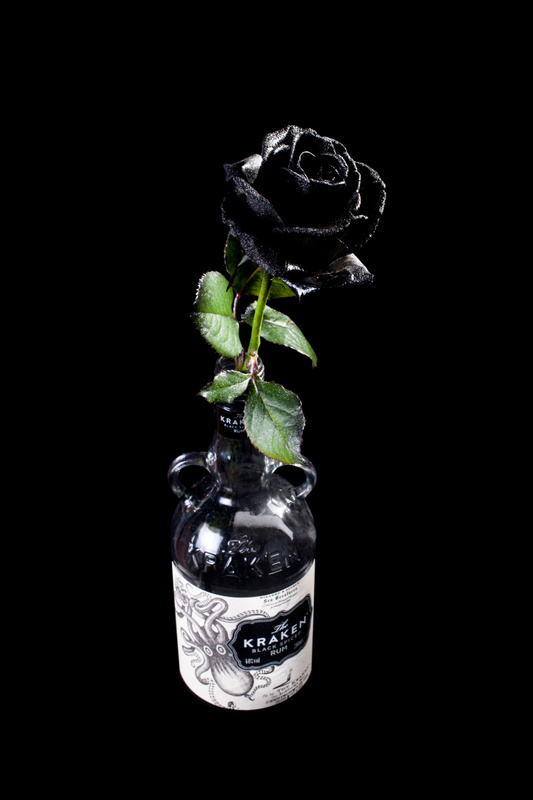 The installation will be in an as-yet-unconfirmed pop-up location in central London, and will sell black roses and small bottles of Kraken rum as tokens of affection, with the money raised going to charity Project Redsand, which was established to protect the Redsand Towers off the Kent coast. 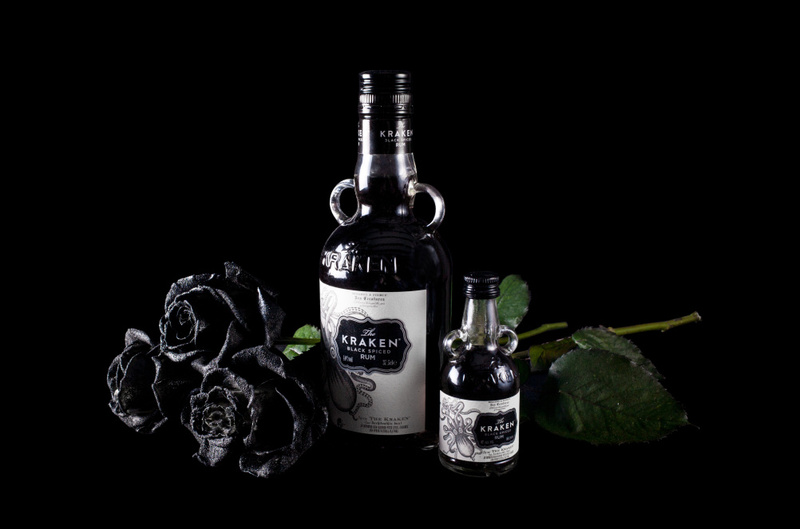 As there are no black flowers in the nature, the roses are created by placing dark red roses in vases filled with a Kraken’s ink in place of water. 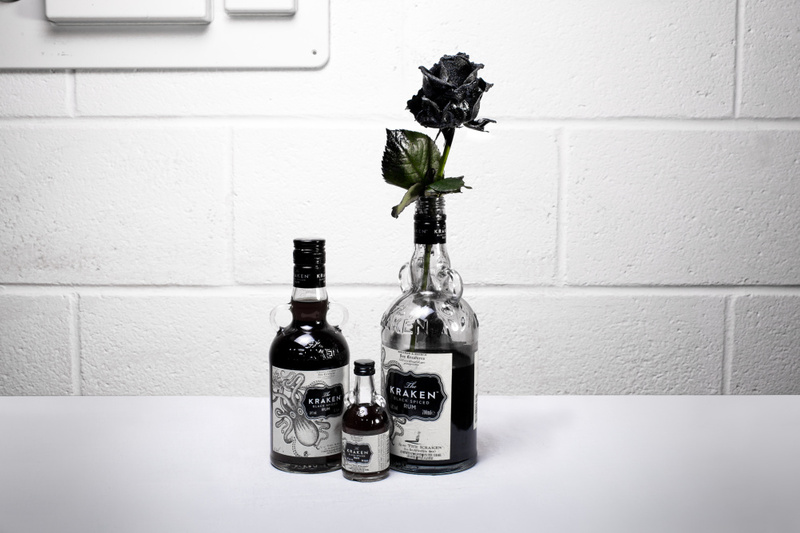 This ink is then transported up the stem to turn the petals black, though the stems and leaves remain green. 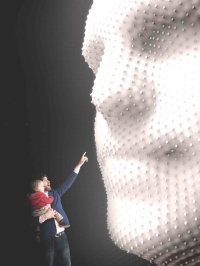 This process will also be showcased at the pop-up. 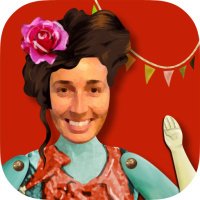 The project has seen Miss Cakehead move away from the baking-based work that has lent her the cakey moniker, with previous projects including The Depressed Cake Shop, which sold only grey cakes to raise funds for mental health charities, and last year’s Eat Your Heart Out Valentine’s project. She says, ‘This year it’s all about different techniques. There’s none of the traditional Valentine’s things – no heart shapes – just something that’ll look visually really stunning’.